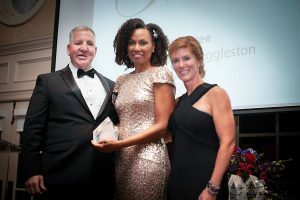 Nominated for her role as a military caregiver who works tirelessly to create a community and provide support for other military caregivers, Pamela Stokes Eggleston was named a 2018 Vigiano Family Hope and Courage award recipients at the 2018 Got Heart Give Hope Gala. 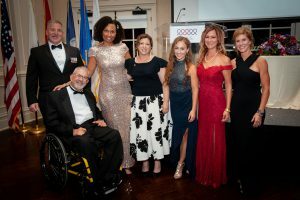 Pamela’s life changed when she became a caregiver to her husband, a U.S. Army Veteran and Purple Heart and Bronze Star recipient who spent nearly 3 years at Walter Reed Medical Center recovering from his injuries. 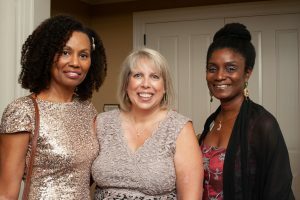 Once feeling as though she lost herself, Pamela turned to yoga and has since looked to the practice to help other military caregivers by providing a network of support and supporting clients with a unique mind-body-spirit paradigm to decrease suffering, increase emotional balance and cultivate self-care. A published author, national speaker, yoga teacher, HeartMath coach, yoga therapist and founder of Yoga2Sleep, Pamela has practiced and taught yoga and meditation for close to 20 years. A Yoga Therapy graduate student at Maryland University, she has completed specialized training to include certifications in plant-based nutrition, stress management, yoga therapy, yoga for trauma and PTSD, and yoga for military and veteran caregivers. 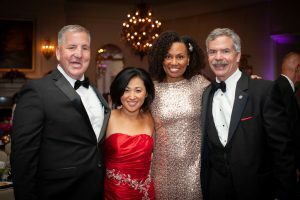 Through Yoga2Sleep partnerships and strategic alliances, Pamela has worked with the VA, Hope For The Warriors, Wounded Warrior Project, Dog Tag Bakery and others. Pamela Stokes Eggleston is on of the contributing editors of “Best Yoga Practices for Veterans” a book published by the Yoga Service Council, serves as an educational tool and resources for not only veterans, caregivers and military families, but those who provide services and support of their wellbeing from local yoga studios to the Department of Veteran Affairs! Meditate with Pamela on the Meditation Studio by Gaiam and Insight Timer.